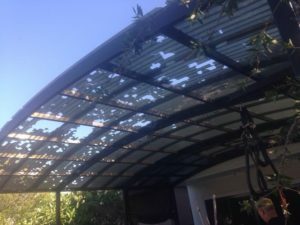 When a claim of hail damage is received it is obvious that our thoughts immediately turn to the roof because this is the largest part of any home that is facing the sky and therefore the threat of hail. 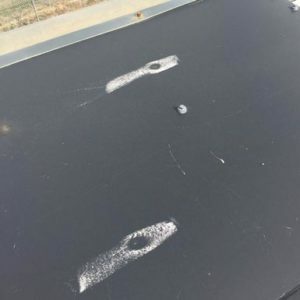 However rather than just rushing in and jumping straight on the roof in an assessment, there are number of tell tale signs an Estimator can look for to highlight the presence of hail damage. By looking at the items around a home that are made of softer materials than the roof, i.e. 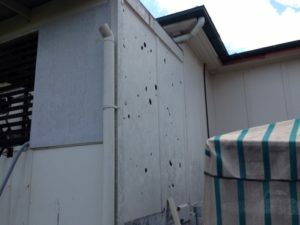 gutters, down pipes, letter boxes, fences, air conditioner housings, garden sheds, timber handrails and balustrades, will indicate the presence of hail damage. However an experienced Estimator does not look simply for the presence of hail damage, rather they are seeking to identify the density, direction, and impact of the hail before climbing onto the roof. Looking at the elevations and even the surrounding properties from the ground will provide the Estimator with an enormous amount of information before climbing up their ladder. 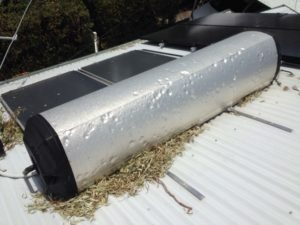 Once on the roof items like skylights, vents, whirly birds and ridge capping will be the first indicator of hail damage. 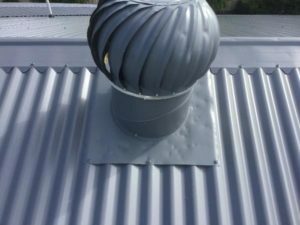 While metal roofs are thought generally to be easy to identify hail damage on, factors such as weather, age and density can impact on the successful identification of the damage present. One of the easiest methods to clearly show hail damage in photos is to mark the hail dent with chalk. It is important that when hail damage is located it is inspected to ensure it is from the claimed event. Sometimes an insured may have historical hail damage that they were unaware of and evidence of dirt or mould in the dent may lead to questions over the age of the damage. The point of this is not to dispute the fact there is hail damage but to ensure the loss date is accurate for the insurer. Remember: in a hailstorm, many other items apart from the roof can be damaged and form part of the claim, therefore by looking around the house before jumping on the roof ensures the Estimator is fully aware of all of the damage caused by the storm.